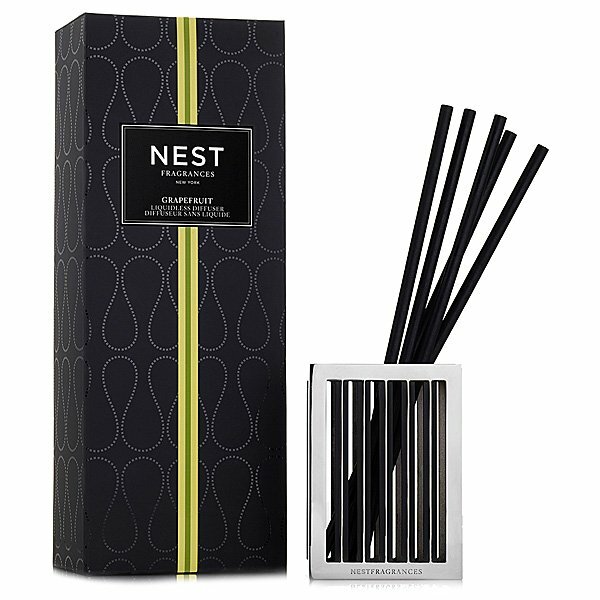 Nest Grapefruit Liquidless Diffuser is a combination of pink pomelo grapefruit and hints of watery green blended with Lily of the Valley and coriander blossom. Nest Liquidless Diffusers are a first-of-its-kind innovation, Nest Liquidless Diffuser™ delivers a unique and beautiful way to transform any room. The innovation begins with the ScentStick – each one has been infused with pure fragrance oil to impactfully release scent. The custom-designed, open, silver vessel holds up to 5 ScentSticks so you can adjust the level of fragrance to your preference. Spill proof and maintenance free, Nest Liquidless Diffusers uses state-of-the-art technology to release 90 days of your favorite Nest fragrance, without a flame or a liquid!